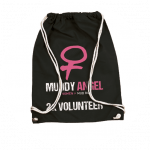 schauinsland MUDDY ANGEL RUN - EUROPE’S 5K WOMEN-ONLY MUD RUN! 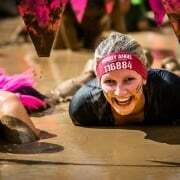 YOUR DAY IN THE MUD! Forget everyday life and enjoy being a child again. RUNNING TOGETHER - CELEBRATING TOGETHER! PREVENTION THROUGH SPORT WITH FUN FACTOR! 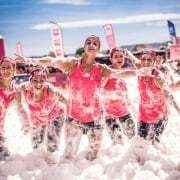 The schauinsland Muddy Angel Run is a cheerful way to take care of yourself through sport and to give strength to those affected. OUT OF EVERYDAY LIFE, INTO PLEASURE! It doesn’t matter if you run, go or walk! Fun is guaranteed! 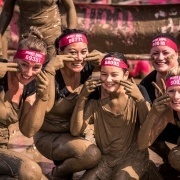 The “schauinsland Muddy Angel Run” is Europe’s 5 kilometer Mud Run for women of all fitness levels who want to do good while having fun. 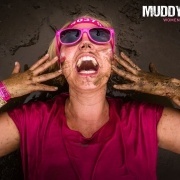 What awaits you at a schauinsland Muddy Angel Run event? Come back and get a different thank-you gift every time! To make breast cancer a topic of conversation, to inform about prevention possibilities and measures and to give women an opportunity to exchange ideas. Communication and education are the central building blocks to further contain the disease in Europe. 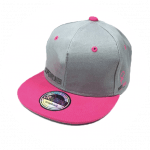 Here we can make a significant contribution by drawing attention to the issue of breast cancer. To prevent illness in a cheerful way, through sport and exercise, to do sport together and to give strength to those affected. We provide breast cancer patients with one of at least 50 free starting places per event. 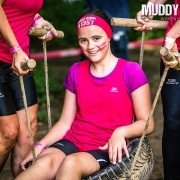 If you are personally ill, please send us a short mail to info@muddyangelrun. com and we will send you all information about your free participation. 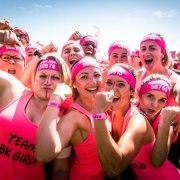 Women active in sports also have a 25% lower risk of developing breast cancer. 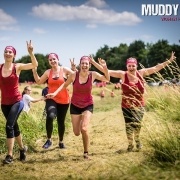 The Muddy Angel Run offers in a cheerful way the possibility to take precautions through sport, to do sport together and to give strength to those affected. 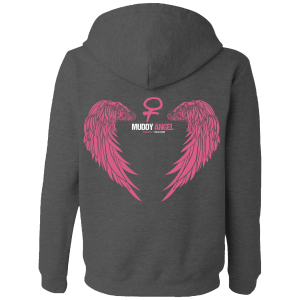 Muddy Angel serves as a platform for donations to support organizations dedicated to breast cancer research and education. Voluntary donations from participants are also possible upon registration. 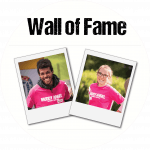 Many participants run not only for themselves, but to morally support a friend or acquaintance who fights or has fought against breast cancer and to set an example. This moral support is incredibly important for those affected. 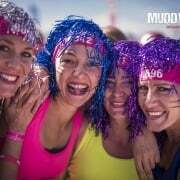 We appreciate this very much and support the active participation of those affected by providing breast cancer patients with one of at least 50 free starting places per event. If you are personally ill, please send us a short mail via our contact form and we will send you all information about your free participation. In addition, we would like to create attention not only through our own communication and events, but also support organizations that are otherwise committed to breast cancer – be it in research or in education in broader environments. From each ticket and from each merchandise item we donate 1 € directly to our partners. You can also make a voluntary donation directly when you buy your ticket. 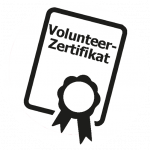 In Germany your donation goes completely to the breast cancer Germany registered association (Brustkrebs Deutschland e.V.). Your donation for the event in Switzerland will go entirely to PINK RIBBON SCHWEIZ. Regular exercise and a healthy diet can reduce the risk of breast cancer. Therefore, PINK RIBBON SWITZERLAND offers a 4,500 km long loop route to motivate the population to become active and to complete one of the more than 100 proposed stages by bike or on foot. 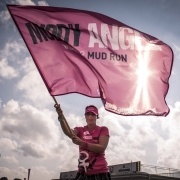 The schauinsland Muddy Angel Run ZÜRICH is also part of the loop route and contributed 34,000 km in 2017. You can find all information here www. schleifenroute. ch.